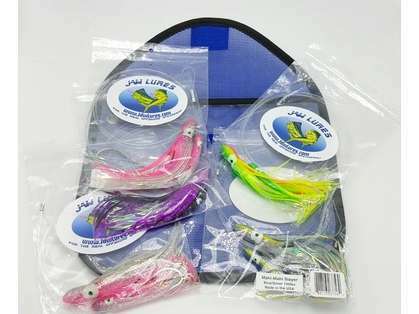 JAW Lures Tuna Buster Combo with Lure Bag offers serious beginner and tournament offshore anglers the ultimate competitive advantage. 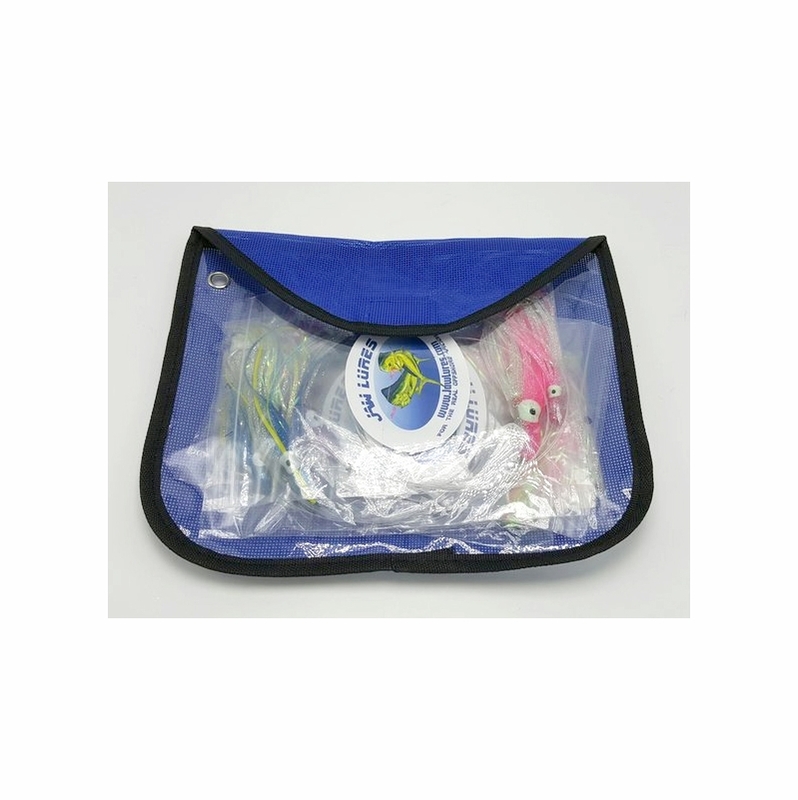 This combo is designed to target Mahi-Mahi aka Dolphin or Dorado, larger Blackfintuna, and Sailfish. 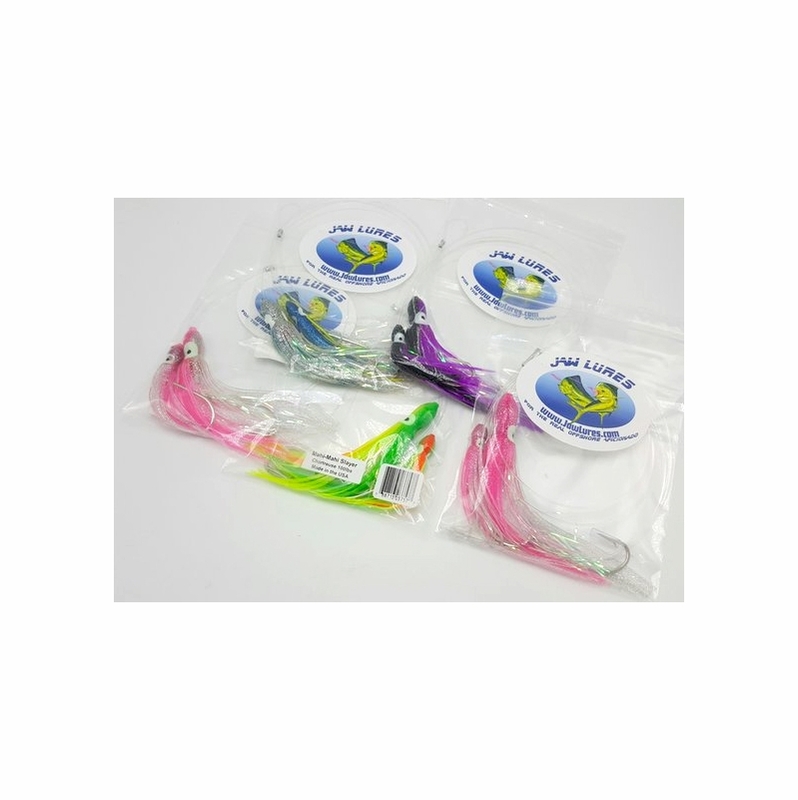 Each lure is hand rigged with two Mustad 3407 SS-DT Stainless Steel Hooks - 100 lb. 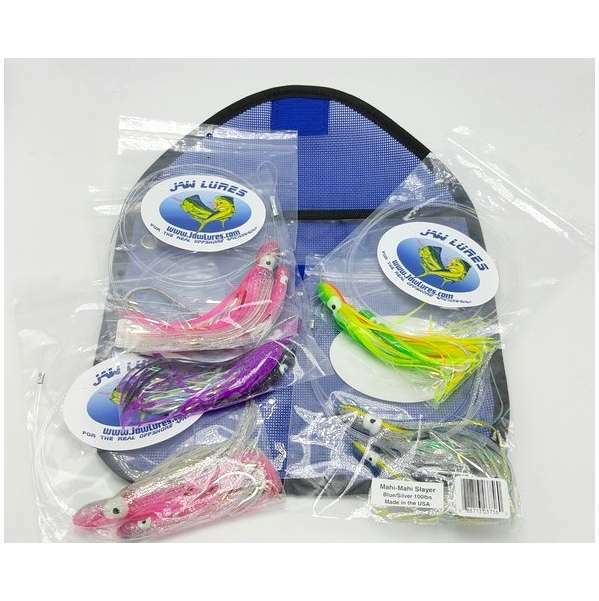 AFW Hi-Seas clear leader material and stainless steel crimps, premium UV sparkling duster, and of course our own JAW squid skirts.